September 10, 2012 ratings: Though the new TV season doesn’t technically start for a couple of weeks, NBC debuted two new shows last night, and repeated the pilot of Go On (which first ran during the Olympics). 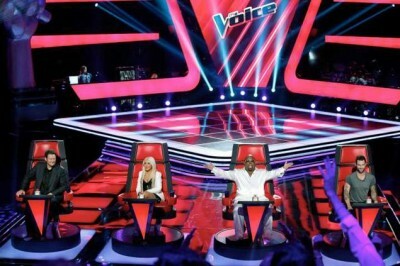 The Voice registered a 4.1 rating in the 18-49 demographic with 12.0 million total viewers. It was the big winner but was down significantly when compared to last season. It debuted after the Super Bowl (16.3 in the demo with 37.6 million) and then aired the next night (6.7 in the demo with 17.8 million). Whichever you compare it to, the season three premiere was down. Leading out of The Voice, the series premiere of The New Normal drew a 2.5 in the demo with 6.9 million. This wasn’t great but wasn’t terrible either and it won its timeslot easily. The replay of Go On drew just a 1.8 rating with 4.97 million. Despite being a rerun, it also won its timeslot. On FOX, the season finale of Hell’s Kitchen drew a 2.5 rating in the demo with 6.21 million viewers. Compared to the previous Monday episode, which aired on August 27th, the reality competition was down by 14% in the demo. The season finale of MasterChef attracted a 2.6 in the demo with 6.4 million. Compared to its last Monday airing, on July 23rd, it was down by 4% in the demo. On CBS, things were a bit of a mess with over-runs from the US Tennis Open. From 8-9pm, the match drew a 1.6 in the demo with 5.3 million total viewers. At 9pm, the mix of the US Open and the How I Met Your Mother rerun drew a 1.6 with 5.2 million. At 9:30pm, the HIMYM rerun and CBS Fall Preview drew a 1.3 in the demo with 4.4 million. Then, at 10pm, the mix of the CBS Fall Preview and a 2 Broke Girls encore pulled in a 1.4 in the demo with 4.8 million. Finally, at 10:30pm, the mesh of 2 Broke Girls and a Mike & Molly rerun brought 1.0 rating with 3.53 million. On ABC, the two hour Bachelor Pad drew a 1.3 demo rating with 4.5 million viewers. It was down by 7% when compared to last week’s installment. A Castle rerun filled out the night with a meager 0.8 rating and 4.2 million. And finally, on The CW, the ninth episode of season two of The LA Complex drew a typical 0.3 demo rating with about 680,000 viewers. An encore of America’s Next Top Model followed it at 9pm and registered a 0.2 rating with 548,000 viewers. These are the fast affiliate numbers and the finals won’t be available until later. The individual show pages and averages will be updated as the information becomes available. What do you think? What were you watching last night? Do any of the ratings surprise you? I was watching Flashpoint, NYC22, and Rookie Blue on VHS. Some I had recorded in July and finally are watching before new season starts. NYC22 grows on you. CBS as they did with Chaos, cut it to soon. If they are going to do that, why bother showing them to begin with?